*All conchos should be checked & tightened after a few uses, and again every couple months to prevent concho loss. 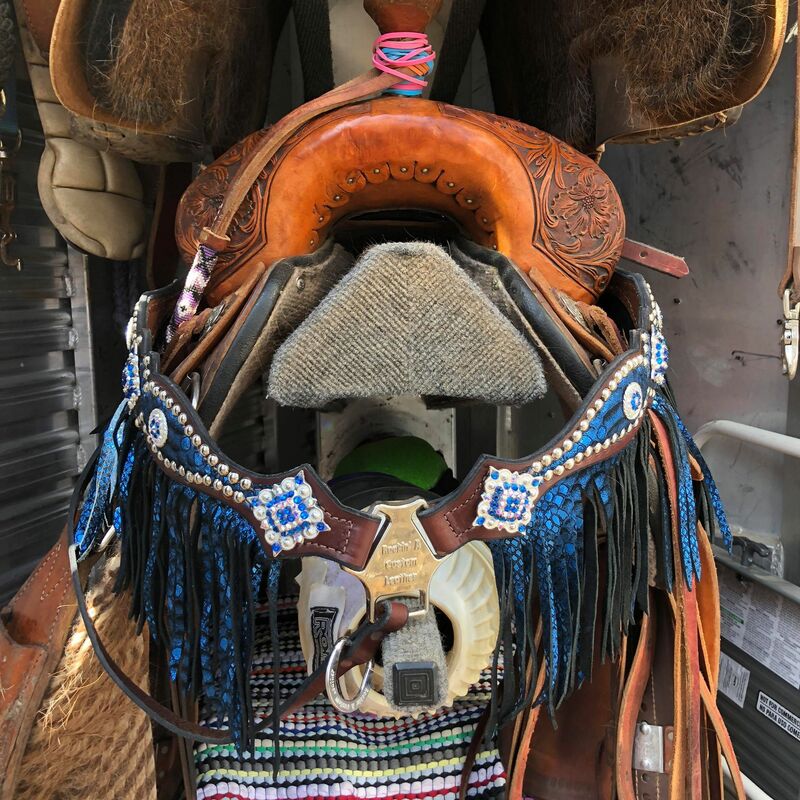 *All tack and leather items should be wiped down after getting covered with sweat, as this is very hard on the leather & causes corrosion to hardware. *You can clean your crystals by simply using a baby wipe. I wipe down my entire tack set (leather and all) if it gets sweaty or dirty, and to make my crystals sparkle again! *Angora: To revive the curls in your Angora, simply spray with a water bottle so they are damp. Lay flat (or like photo above) to dry. Curls will reform to their natural shape. *Fringe: To flatten curled fringe, simply spray with a water bottle so fringe is damp. Lay on a flat surface and use your hands to flatten fringe. Let dry. Rockin' A Leather is committed to providing you a quality, affordable, & SAFE product. I do offer to fix most issues you may have with your items, as long as they have not been neglected or abused. All my products are handmade, all the way down to the leather and crystals on the conchos. I hand cut and put together every product. I use quality harness leathers, hardware, and swarvoski crystals. Example: if you tie your horse to the trailer by the reins, and he pulls back and breaks the headstall, this is not covered. However I am willing to fix anything for a small fee (If its fixable).